Freeware - Free programs. This website contains links to many free programs (freeware) for PC, everything that is needed for a well functioning PC and all for free. Right now there are over 100 programs to download via the website's links. Please note. Read the information text that is on the respective site. Most of the programs also work with Win 10. Please note! Only legal programs. NOTE! The use of different software is entirely at their own risk. Please sign up here if you find a "dead" link or any program is no longer free program. Burn4free : Burn4Free the ultimate dvd burner software. Copy dvd.Backup movies - data - mp3. Work with more than 4000 dvd burners. Create audio CD. Dual layer support. Free online upgrades. Easy Interface. Freeware. CDBurnerXP Pro : CDBurnerXP Pro is a free CD/DVD burning solution.With this software you can burn CD-R, CD-RW DVD+R/RW DVD-R/RW discs. DeepBurner Free : Totally free, yet more advanced than other software calling itself "professional", this version of our CD/DVD burner is for your own personal use. Dvd Shrink : Is a free and user-friendly dvd backup tool, enabling you to make backup copies of your DVDs to a single DVD±R/RW or Dual-Layer DVD+R..
HDClone 5 Free Edition : Clones an entire hard disk to another larger medium. Use it for migrating an existing installation to a new hard disk, or for rescuing data. Developed for the occasional user. GIMP : The GIMP is the GNU Image Manipulation Program. It is a freely distributed piece of software for such tasks as photo retouching, image composition and image authoring. It works on many operating systems, in many languages. Easy Thumbnails : Create accurate thumbnails from popular picture formats with this handy freeware utility. FastStone Image Viewer x.x Freeware : An image browser, converter and editor that supports all major graphic formats including BMP, JPEG, JPEG 2000, GIF, PNG, PCX, TIFF, WMF, ICO, TGA and camera raw files. It has a nice array of features such as image viewing, management, comparison, red-eye removal, emailing, resizing, cropping, color adjustments and much more. Work on XP, Vista, Windows 7, Windows 8.x and Windows 10. FotoSketcher : FotoSketcher is a 100% free program for Windows which converts your digital photos into art automatically and in just a few mouse clicks. Over 20 different styles are available from pencil sketches to watercolor or oil paintings, pen & ink drawings and cartoons. Iconoid : Iconoid is a Windows desktop icon manager. Inkscape : Inkscape is an Open Source vector graphics editor. Inkscape's main goal is to create a powerful and convenient drawing tool fully compliant with XML, SVG, and CSS standards. IrfanView : IrfanView is a very fast, small, compact and innovative freeware (for non-commercial use) graphic viewer for Win 9x/ME/NT/2000/XP/2003/Vista /Win7/8/10. Paint.NET: Paint.NET is free image and photo editing software for PCs that run Windows. It features an intuitive and innovative user interface with support for layers, unlimited undo, special effects, and a wide variety of useful and powerful tools. PhotoFiltre : PhotoFiltre is a complete image retouching program. It allows you to do simple or advanced adjustmentsto an image and apply a vast range of filters on it. It is simple and intuitive to use, and has an easy learning curve. The toolbar, giving you access to the standard filters with just a few clicks, gives PhotoFiltre a robust look. Pixia : Pixia is the English version of a popular Japanese painting and retouch software for full color graphics. Pixia supports layers, masks and many other graphic editing functions. UnFREEz : UnFREEz is a high-speed Windows application that will take any number of images, saved as separate GIF files, and create a single animated GIF from those images. UnFREEz is freeware. VideoPad Video Editor: Create videos for DVD, HD, YouTube and more. Burn movies to DVD for playback on TV, or as a standalone video file to share online or put on portable devices. Edit video from any camcorder. Capture video from a DV camcorder, VHS, webcam, or all common video file formats including avi, wmv, mpv, divx and many more. Breathtaking transitions and visual effects Over 50 visual and transition effects to add a professional touch to your movies..
Xnview : XnView is an efficient multimedia viewer, browser and converter. Freeware for private non-commercial, educational use and non-profit organization. Ad-Aware® SE Personal Edition : Ad-Aware is designed to provide advanced protection from known Data-mining, aggressive advertising, Parasites, Scumware, selected traditional Trojans, Dialers, Malware, Browser hijackers, and tracking components. With the release of Ad-Aware SE Personal edition, Lavasoft takes the fight against Spyware to the next level. Any Password : AnyPassword is an easy-to-use tool that lets you store all your passwords, user IDs, and related information together in a safe place. The program supports tree-type data structure, password generation, incremental search, import and export of data. Avast Home : Avast! Home Edition is now free of charge for HOME users for NON-COMMERCIAL use. Avira Free Antivirus : Avira Free Antivirus program. AVG : AVG Free antivirus program. ClamWin : ClamWin is a Free Antivirus for Microsoft Windows 98 / Me / 2000 / XP / 2003 / Vista / 7 / 8.and 10. Comodo Firewal : Comodo Firewall Software Basic Firewall protection.Keeps you updated on all suspicious files. Prevention-based technology stops viruses. Automatic updates for the most current protection. SUPERAntiSpyware Free Edition : SUPERAntiSpyware is the most thorough AntiSpyware scanner on the market. Symantec Security Check : Symantec Security Check tests your exposure to a wide range of online threats. It's free and efficient, and it helps you determine your Internet security needs. Autodesk® DWG TrueView™Free : View, plot, and publish authentic DWG files only with Autodesk DWG TrueView. Share AutoCAD drawings easily and accurately among engineers and architects. View and plot DWG and DXF files, and then publish them as DWF files for quick and easy review and markup in Autodesk Design Review. Publish 3D DWF files. Ensure the integrity and reliability of your data. Windows XP, Vista, 7, 8, 2000. 32 och 64 bitars. Autodesk Design Review : Accelerate your design reviews on your desktop with Autodesk® Design Review software. It’s the free*, all-digital way to view, mark up, print, and track changes to Autodesk 2D and 3D files—without the original design software. Work with a wide variety of file formats, including DWF™ and DWFx, DWG™ and DXF™ (requires installation of free DWG TrueView™ software) and Adobe PDF, as well as several image file types including .bmp, .jpg, .gif, .pcx, .pct, .png, .rlc, .tga, .tif, .mil, .cal, and more. Brava! Free DWG Viewer : Use the Free DWG Viewer to view AutoCAD files quickly and accurately. The free viewer reads DWG, DXF and DWF files without converting them to raster images. CadStd Lite : CadStd is a general purpose, easy to learn CAD/drafting program for creating professional quality mechanical designs, house plans, blueprints, schematics and charts utilizing ANSI drawing standards. The Lite version is free and can read any drawing created by the Pro version. CadStd Lite can export files as DXF so you can share your drawings with friends who have other CAD programs like Autocad..
DraftSight : Allows you to access existing DWG files and create new ones at a fraction of the cost of alternative CAD products. A familiar user interface and a minimal learning curve facilitates an easy transition from your current CAD application..
Google SketchUp : Google SketchUp is software that you can use to create 3D models of anything you like. progeCAD Smart! : Reads and writes AutoCAD® DWG files from 2.5 to 2009. Has industry standard AutoCAD Commands. Has AutoCAD® Menu, Script, Font Compatibility. Has AutoLISP® Compatibility! Has Basic Rendering Options.Has Express Tools export to PDF and JPG. 11,000 standard symbols and blocks available for free. Is NOT compatible with Windows 7 or Windows 8. Sweet Home 3D : Sweet Home 3D is a free interior design application that helps you draw the plan of your house, arrange furniture on it and visit the results in 3D. Auslogics Disk Defrag Free : Ultra-fast defrag-mentation engine.Thorough free space consolidation. Single file or folder defragmentation. Special algorithms for VSS-enabled drives. Disk error check and repair. Automatic defrags in real time. Customizable disk map appearance. 8.1, 8, 7, Vista, 2003, XP, 2000, NT 4, Me, 98, och 95. AMP Font Viewer: This free program is an easy to use but powerful font manager, which allows you getting a quick overview of both installed and non installed fonts. It can install and uninstall fonts, and organize them in categories. Belarc Advisor : The Belarc Advisor builds a detailed profile of your installed software and hardware, network inventory, missing Microsoft hotfixes, anti-virus status, security benchmarks, and displays the results in your Web browser. All of your PC profile information is kept private on your PC and is not sent to any web server. Operating Systems: Runs on Windows 8.1, 2012 R2, 8, 2012, 7, 2008 R2, Vista, 2008, 2003, XP, 2000, NT 4, Me, 98, and 95. Both 32-bit and 64-bit Windows are supported. CCleaner : CCleaner is a freeware system optimization and privacy tool. It removes unused files from your system - allowing Windows to run faster and freeing up valuable hard disk space. Cobian Backup : The best way to avoid a total disaster when computer or hard drive crash is to regularly backup files. Cobian Backup is an easy to use program to regularly create copies of all your important files. For Windows XP, 2003, Vista, 2008, Windows 7 (works in both 32 and 64 bit Windows). Disk Cleaner : Disk Cleaner is a free open source tool to quickly and easily clean your hard disk from temporary files like those in the system temporary folder, the Internet Explorer Cache and Cookies folder, and the Recycle Bin. Drivers : Download Drivers for FREE from the Web's largest Driver Database..
dp4 Font Viewer: dp4 Font Viewer is a freeware for Windows for viewing and managing fonts: OpenType ® (OTF), TrueType (TTF). No installation, very small. 32 & 64 bit. Font Runner: Font Runner is a Windows font manager for artists and graphic designers. It is designed to easily organize and search collections of fonts. If you have a large collection of fonts, keeping them all in your Windows Fonts folder can be burdensome and slow. With Font Runner, you can manage your font files by keeping them in folders of your choosing. 32 and 64 bit versions available. Uses TrueType, OpenType. Freeware. Windows XP, Vista, 7, 8 and 10. IE New Window Maximizer : IE New Window Maximizer This program will automatically maximize new Internet Explorer and Outlook Express windows for you. It includes a function for hiding/closing all IE windows with a userdefined hotkey. It's also possible to open new IE windows and automatically have them sent to the background. The program is also capable of closing popup windows. Nexus Font: If you are a designer using many fonts, nexus font is a must have application. You can manage/compare/choose fonts with well organized features. You don't need to install all fonts to the system. You can load fonts you are working with only. It's simple and easy! Many languages. 32 bit but 64 bit compatible. Uses Type1, TrueType, OpenType, and TrueType Collection. Windows XP, Vista, 7. 8 and 10.. Freeware. Paragon Backup & Recovery 2014 Free : Take complete control of your PC’s safety. Create a backup of your data today. Based on solid commercial backup and recovery software from Paragon, the new Backup & Recovery 14 Free Edition will give you a rich set of features that you can trust. PC INSPECTOR™ File Recovery 4.x : is a data recovery program that supports the FAT 12/16/32 and NTFS file systems. Recovers files, even when a header entry is no longer available. Competition products cannot recover such files. ProduKey : ProduKey (www.nirsoft.net) is a small utility that displays the ProductID and the CD-Key ofMS-Office, Windows, Exchange Server, and SQL Server installed on your computer. You can view this information for your current running operating system, or for another operating system/computer - by using command-line options. This utility can be useful if you lost the product key of your Windows/Office, and you want to reinstall it on your computer. Recuva : Recuva can recover pictures, music, documents, videos, emails or any other file type you’ve lost. And it can recover from any rewriteable media you have: memory cards, external hard drives, USB sticks and more! SiSoft Sandra Lite : SiSoftware Sandra Lite is an information and diagnostic utility. It should provide most of the information (including undocumented) you need to know about your hardware, software and other devices whether hardware or software. Free for personal/educational use. Skype : Skype : Skype is a little program for making free calls over the internet to anyone else who also has Skype. It’s free and easy to download and use, and works with most computers. Tptest 5: Test the speed (bandwidth) of your broadband connection. Winoptimizer : Winoptimizer analyzes your computer and searches for things that make your computer slower. After the analysis, the program can help you solve any problems. Wise Disk Cleaner : Wise Disk Cleaner can remove unnecessary files on the hard drive to free up disk space and speed up your computer. It also has many custom options to allow advanced users to clean up more files that are not needed. Equipped with advanced algorithms, Wise Disk Cleaner can scan and remove them within seconds, making it one of the most efficient disk cleaners. Wise Registry Cleaner : Wise Registry Cleaner clean registry junks, repair Windows errors, and keep your PC at peak performance. Coffeecup FTP : Free FTP-prrogram. Core FTP LE : Free Windows software that includes the client FTP features you need. Features like SFTP (SSH), SSL, TLS, FTPS, IDN, browser integration, site to site transfers, FTP transfer resume, drag and drop support, file viewing & editing, firewall support, custom commands, FTP URL parsing, command line transfers, filters, and much, much more! 1st Page : Evrsoft 1st Page 2000 helps you write, edit and improve your HTML, its powerful tools let you author websites faster, easier and better. Anfy : includes 52 Java™ applets with best menu and webdesign effects, Free. CoffeeCup Free HTML Editor : The CoffeeCup Free HTML Editor is a full-featured Web design system. With built-in FTP uploading, wizards for tables, frames, fonts, and more. Crimson Editor : HTML-editor a professional source code editor for Windows. Java Runtime Environment : The J2SE Java Runtime Environment (JRE) allows end-users to run Java applications. Free. 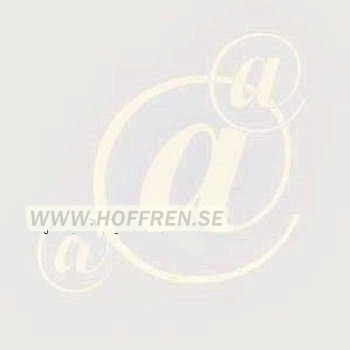 HTML - Edit : Swedish free HTML-editor. PageBreeze Free HTML Editor : PageBreeze Free HTML Editor is an award-winning HTML Editor which has both visual (WYSIWYG) and HTML tag/source modes. Webdwarf : Webdwarf : Free wysiwyg webeditor for HTML and SVG. WebEdit 2002 : Free webeditor for HTML. Gadwin Printscreen : Gadwin PrintScreen is an easy to use freeware utility that allows you to capture any portion of the screen, save it to a file, copy it to Windows clipboard, print it or e-mail it to a recipient of your choice. LibreOffice : LibreOffice is a powerful office suite; its clean interface and powerful tools let you unleash your creativity and grow your productivity. LibreOffice embeds several applications that make it the most powerful Free & Open Source Office suite on the market: Writer, the word processor, Calc, the spreadsheet application, Impress, the presentation engine, Draw, our drawing and flowcharting application, Base, our database and database frontend, and Math for editing mathematics. OpenOffice.org : OpenOffice.org is both a multi-platform and multi-lingual office suite and an open-source project. Compatible with all other major office suites, the product is free to download, use, and distribute. For Windows 95/98/ME/NT/2000/XP/Vista/7/8/10..
Audacity : Audacity is free, open source software for recording and editing sounds. It is available for Mac OS X, Microsoft Windows, GNU/Linux, and other operating systems. VLC media player : Free mediaplayer. Winamp : Winamp - Play MP3, MP2, CD, MOD, and WAV audio files. QuickTime Alternative : Is a trimmed down version of QuickTime that contains only the essential components needed for playing QuickTime content that is embedded in web pages. Fedora Linux : The Fedora Project is the free descendant of Red Hat Linux. Comprised entirely of open source software, Fedora Core is a Linux-based operating system developed as a collaboration of Red Hat engineers and the Linux community. Ubuntu : Ubuntu is a free operating system used on millions of computers and servers around the world. It will work with your existing PC files, printers, cameras, music players and mobile phones - It comes with thousands of free applications. Adobe Acrobat Reader : Free reader for PDF. CutePDF Writer : is the free version of commercial PDF converter software. CutePDF Writer installs itself as a "printer subsystem". This enables virtually any Windows applications (must be able to print) to convert´to professional quality PDF documents - with just a push of a button! Foxit PDF Reader : is a free reader for PDF (eBook) documents. You can view and print PDF documents with it. Pdf995 : Pdf995 makes it easy and affordable to create professional-quality documents in the popular PDF file format. PDF Creator : PDFCreator is a free tool to create PDFs easily from nearly any application. With the PDFCreator Printer driver you turn any program into a PDF-machine. doPDF : PDF stands for Portable Document Format and it was created by Adobe to ease document exchange. doPDF is a free PDF creator that does what the name suggests, creates PDF files. PrimoPDF : PrimoPDF is a free tool for high-quality PDF creation. 7-zip : 7-Zip is free software distributed under the GNU LGPL. Supported formats: 7z, ZIP, CAB, RAR, ARJ, LZH, GZIP, BZIP2, Z, TAR, CPIO, RPM and DEB. UltimateZip : UltimateZip is an easy to use archive utilty. With it's flexible user interface, UltimateZip is easy to use for first-time users and offers many features for power users. Support for: ZIP, RAR, ACE, BH, CAB, JAR, LHA (LZH), GZIP, TAR, BZIP2, ARC, ARJ, XXE, UUE formates. Support for large ZIP files (bigger than 4 GB). ZipGenius : ZipGenius is the most versatile free application to handle file compression in several formats likeZIP, RAR, 7-ZIP, CAB, ARJ, ARC and others. Google Chrome : Google Chrome is a browser that combines a minimal design with sophisticated technology to make the web faster, safer and easiersize. Firefox : Firefox is free web browser. Thunderbird : Email application is more powerful than ever.